The Government of Ontario has introduced a slate of new measures that they say will address the issue of housing affordability in the province, with the intent of spurring more growth. However, both of Oshawa’s MPPs – the NDP’s Jennifer French and the PC’s Lorne Coe – say that the Ontario Liberals missed the mark with the Ontario Fair Housing Plan. It’s no secret that housing has become more and more expensive in recent years. Now the provincial government has released a series of measures it hopes will make things easier on Ontarians’ pocketbooks. However, one Oshawa MPP says the plan tackles the wrong problem, while another says a large portion of the population is being left out of the equation. rebating a portion of development charges to encourage the construction of rental units. “People work hard to provide for their families. They should be able to rent or enter the real estate market without making great sacrifices or taking on a huge amount of risk,” Premier Kathleen Wynne states in a news release announcing the new measures. While the new rules were widely touted by the Liberals, their colleagues on the other side of the aisle at Queen’s Park thought they had missed the mark. “The number one issue in the challenge of affordable housing that we face is the matter of supply. 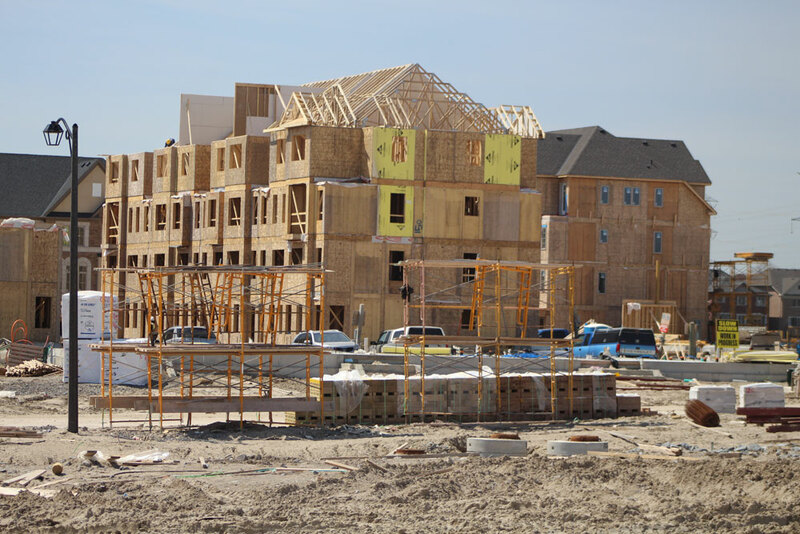 There’s just far more demand than there is supply,” Ernie Hardeman, the PC critic for municipal affairs and housing, tells The Oshawa Express. Hardeman was in Oshawa the day of the province’s announcement for a roundtable discussion with local realtors. Hardeman, along with Whitby-Oshawa MPP Lorne Coe, say that without making things easier for developers to start building, then home prices are not going to come down. “The irony in that is the same bureaucrats who created all this red tape and put in 387,000 regulations in this province are going to be the people who try and implement what the Liberals announced today as a plan,” Coe says. House prices have seen sharp increases over the last year. According to the Durham Region Association of Realtors, the average selling price for a home in Durham Region in March was $697,896, marking a 42.5-per-cent increase over March 2016. Detached homes sold for an average of $767,959. Prices in Toronto are reaching even higher levels. In its latest report, the Toronto Real Estate Board states the average selling price for a home in March was just under $900,000, with detached homes selling for an average of more than $1.56 million. With those skyrocketing numbers, it has become more and more difficult for new and young buyers to enter the market. And according to Oshawa MPP Jennifer French, that won’t be changing based on what she’s seen of the Liberals’ proposals. “I would’ve hoped to have seen a couple of measures addressing the concerns I hear in the constituency office, that there really isn’t anything addressing the lack of affordable housing, and that’s something that across the province is an issue,” she tells The Oshawa Express. The slate of new provincial measures is going after more than just the market for buying and selling new homes – it also looks to target those that rent. Among the 16 proposed measures, two directly target rentals. The first and most widely discussed is the extension of rental control. Now, landlords will only be able to rise rents a maximum of 2.5 per cent per year, unless they have approval from the province. Previously, this law only applied to those living in buildings constructed prior to 1991. While the new rules are not yet officially written into law, the province says they will be made retroactive to April 20, the day of the announcement, once passed in Queen’s Park. Another rule looks to strengthen the Residential Tenancies Act, including the introduction of a standard lease form available in multiple languages, tightening provisions for evictions and prohibiting above guideline increases if there are elevator work orders that have not yet been completed. French says that while these new rules are all fine and good – in fact, her colleague and NDP housing critic Peter Tabuns put forward a private member’s bill earlier this month calling for those rental control measures – it doesn’t do much when there isn’t enough housing available in the first place. “I hear from younger community members that they’re struggling to afford their apartments. If they’re renting, they’re struggling to afford their apartments and their rental accommodations,” she says. Hardeman says that the changes to rental control rules could have a chilling effect on the construction of new, much needed units. “The challenge on rent control is that when you go back to when the ’91 exemption was created, it was because no one was building rental accommodations. Now we’re going back to that,” he says. The previous rental control rules were put in place in 1997 under then-Premier Mike Harris, with the hope of spurring on the construction of new units that would not fall under this rule. The Liberals, meanwhile, say that these changes are needed to ensure tenants aren’t faced with drastic and sudden rent increases. “We know that a strong rental market in Ontario is one that balances affordability for tenants with the right conditions for continued investment in rental properties by landlords,” states Chris Ballard, the province’s Minister of Housing and the Minister Responsible for Poverty Reduction Strategy, in a news release. No timetable has been given as to when this plan will be introduced as legislation at Queen’s Park. French says that she hopes the province gets it right on this one, as many would affected if it doesn’t. I hope that they’ve done their homework, which often isn’t what I see. I hope the government has really done the consultation, not just with industry but also with families, because there is a way to build a more secure and stable housing future for everyone, whether it’s our rental community or people looking to buy their first home or to renovate their existing home,” she says.